The "Eduroam" wireless network is a secure roaming service that can be used on the NMSU campus as well as other participating Universities. Once you have successfully connected to Eduroam, here at NMSU, you will be able to connect to this roaming service while visiting participating University locations. 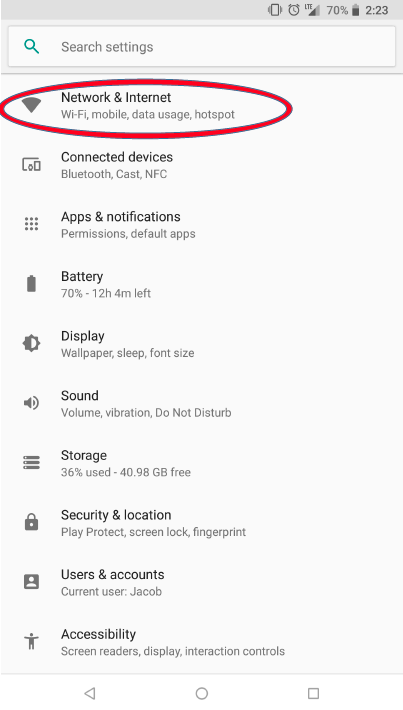 Once on the settings menu, select the Connections option at the top of the list or the Network & Internet option depending on your device. 4. 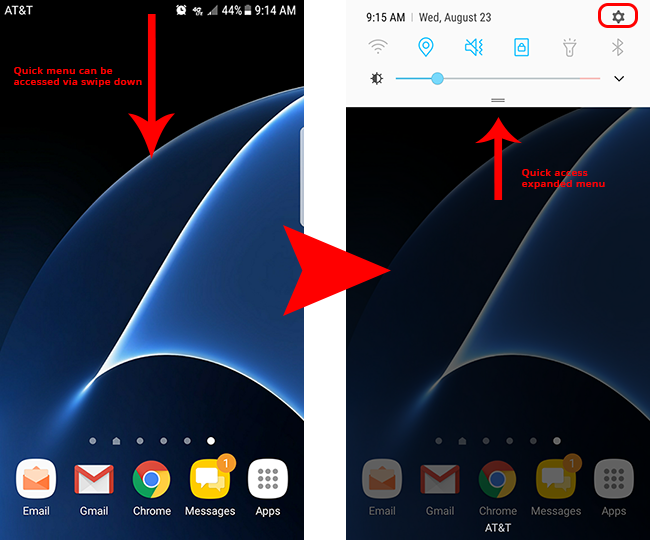 Once Wi-Fi has been turned on, a wifi connection prompt will appear. From this screen, select Eduroam. 5. After selecting "Eduroam" Wi-Fi, you will be prompted to input a username and password. For your username, you will need to enter your entire NMSU email (e.g. 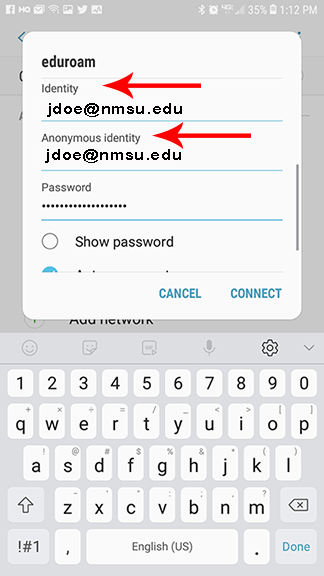 jdoe@nmsu.edu) and for the password, you will need to enter your myNMSU Password/Passphrase. 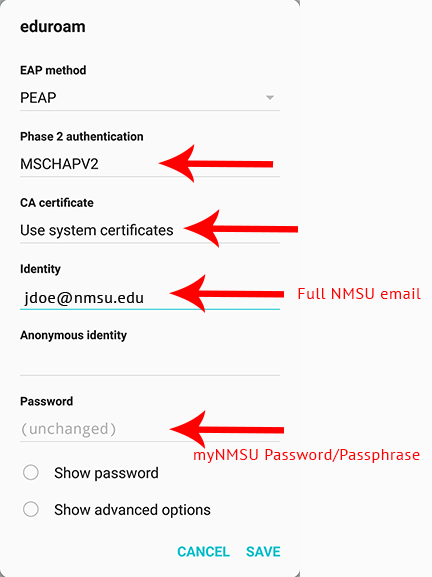 Note: You will also need to select MSCHAPV2 under "Phase 2 Authentification", select Use system certificates under "CA certificate", as well as (if applicable) enter nmsu.edu under "Domain". Some Android devices require the entry of your "Anonymous identity" as well as your "Identity". If you attempt the process described above and you are not able to connect please try this addition. Both of these fields will be filled with your NMSU email address.